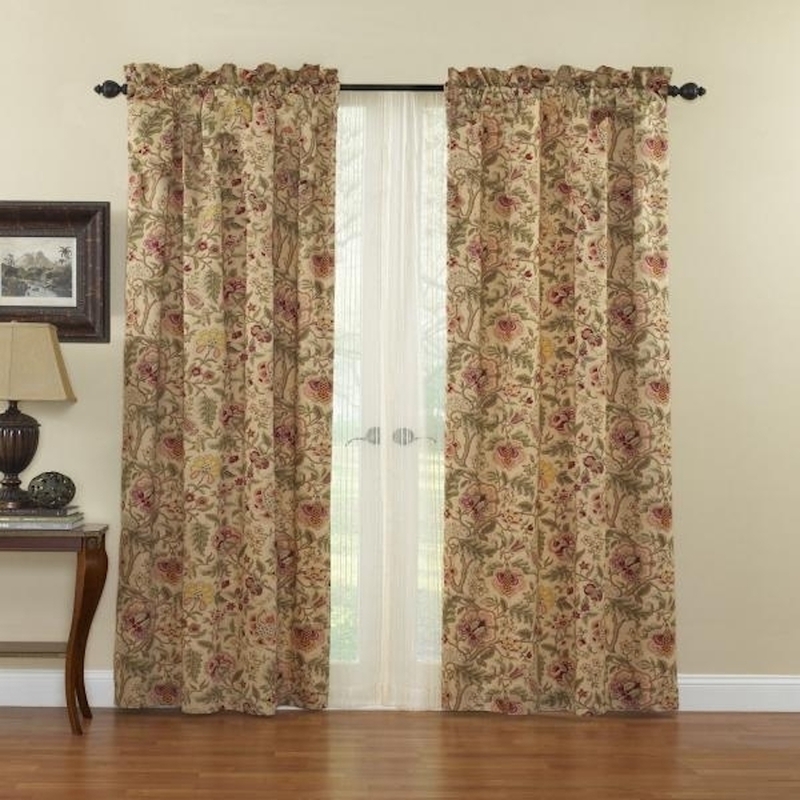 Waverly floral window curtains make any home more warm and beautiful. This 52" W by 84" L rod pocket window panel features a jacobean pattern of soft neutral florals accented with hints of sage and crimson. Perfect for kitchen, bedroom, living room or bath.